We are a family-owned, certified organic farm specializing in supreme quality fluid milk and naturally raised 100% grass-fed and grass-finished beef. 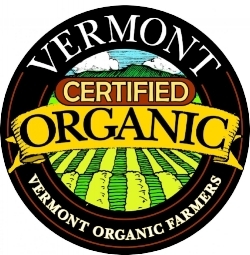 Stewarded by Tyler & Melanie Webb, the farm is located in Fairfield, Vermont. Our mission is simple. Live freely as part of a farm entity whose primary purpose is to share food that is healthy for the environment, the mind, body and the soul. It is all one, and the happy, fulfilled, prosperous farmer that shares life with blissful contented cows, passes on food to the consumer unmatched in quality.